It is always satisfying to see talented people who walk the talk without making a fuss. 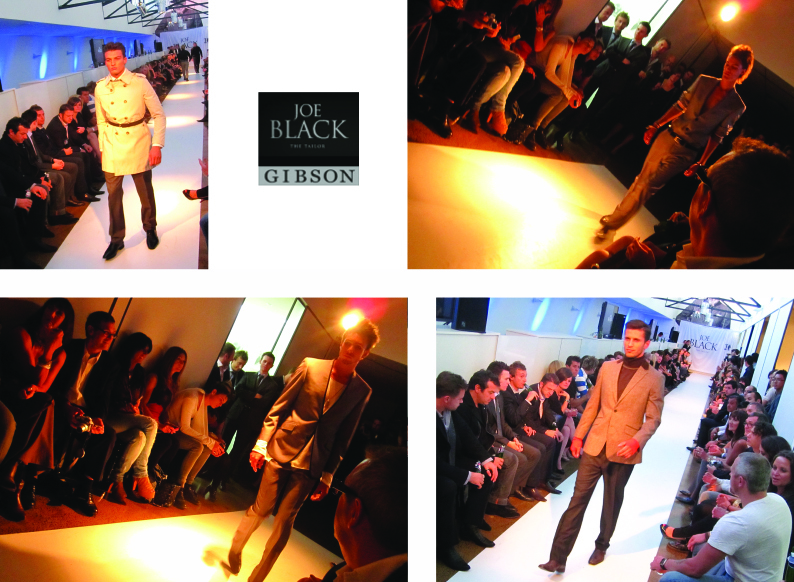 The first ever Joe Black and Gibson show (Melbourne, March 2010) was refreshingly down to earth for an event that was also setting a new benchmark for men’s fashion in Australia (in my opinion). It also struck a homely chord for me as dad and his dad’s were both tailors (and gemmologists). Moreover it was cool to return to Melbourne after living there for three years (circa 2006 to 2009). On the back of a dozen new retail outlets in Australia, menswear label Joe Black and Gibson kicked off their first Australian show on their very own runway – which is now a firm fixture on the top floor of their HQ on Brunswick Street, Fitzroy, Melbourne. Yup, the runway is built into the company’s headquarters. Neat. The show was snapped up and hosted exclusively by Men’s Style – Issue April 2010, which meant the seats were filled with more media than retail buyers. Most garments were one-off and hand-made specifically for the show (not available on rack) and apparently were so g’damn hot that they were lifted (stolen) within 24 hours of hitting the runway. Fortunately the garments were caught on film. Established in 1867, in business for 130 years, Cambridge Clothing is the oldest menswear maker in New Zealand. Lead by bunch of top quality people who aim to be the leading provider of men’s formal and semiformal wardrobes in Australasia by 2011. It’s safe to say Joe Black and Gibson are in the right hands. Take a look at Joe Black’s Espoke tailored suits. ‘The price is revolutionary.’ – Men’s Style Australia Autumn – Winter 2008. The hospitality I received from the Joe Black crew was bar none. Thank you. Was a great show and I look forward to the next one soon. The after party was at Comme.